Welcome to Team Tuesday, it's Ceal here to share a shaker card with you today featuring some Concord & 9th products. 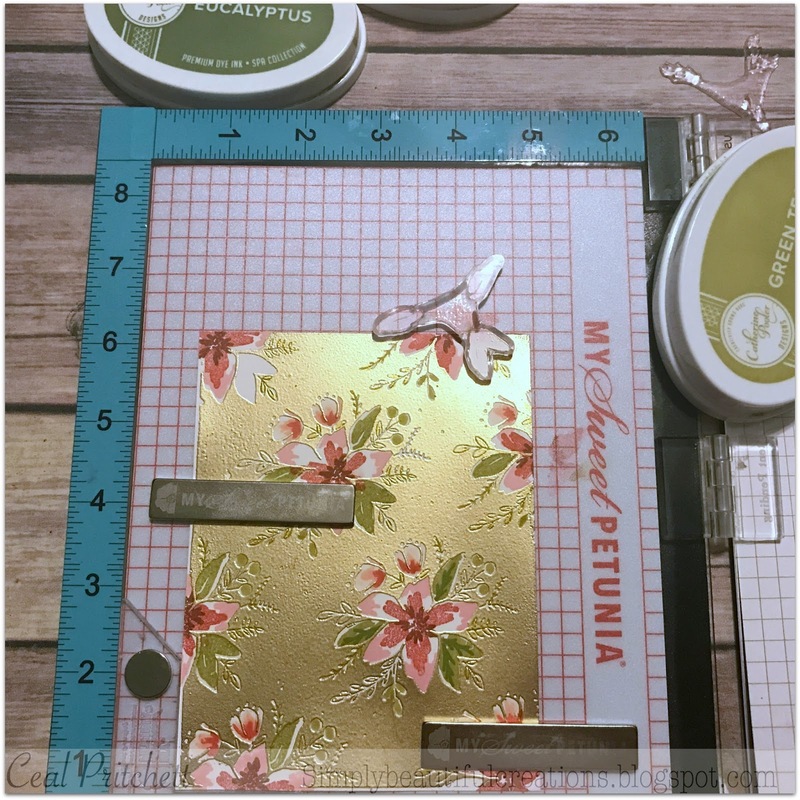 If you are like me the Misti is a must have when using layering and background stamps. 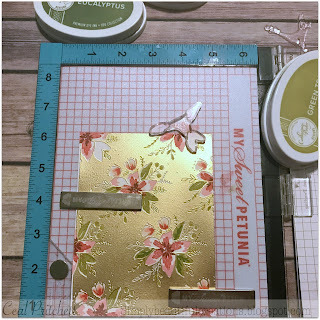 Layering stamps for the life of me even though they are clear I cannot get them to line up without the Misti, background well I have small hands so it's pretty much impossible for me to hold that gianormous block. So the Misti is my best friend! 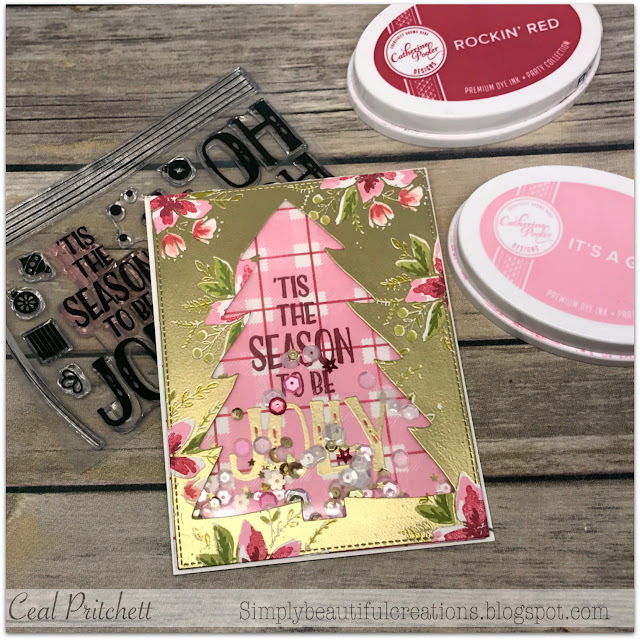 To make my card I used the Original Misti and several Concord & 9th stamps. 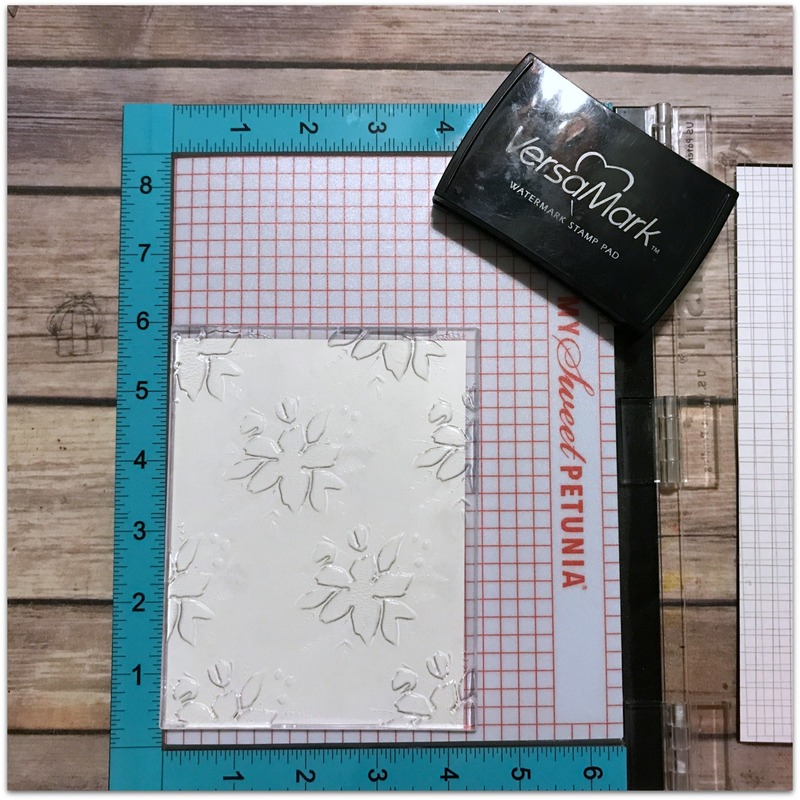 I started with the Blooms Fill In set, Versamark Ink and Gilded embossing powder by Brutus Monroe. I inked up the Fill In blooms background with Versamark ink and embossed it in gold. I love using the Misti when embossing because it allows me to get great coverage with the Versamark. Next I used some Catherine Pooler inks and again using the Misti to help me line up the layers I filled in all the flowers. 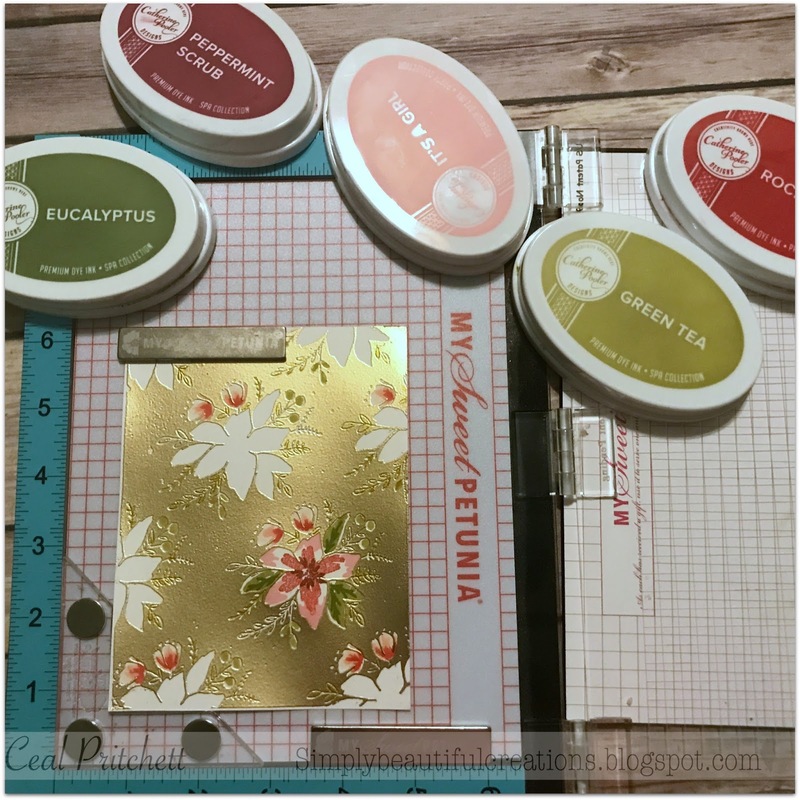 Using the Creative Corners helped me be able to stamp the ones along the sides. I love the new Bar Magnets, you now how new stamps tend to lift your paper? well if you use two of them your paper doesn't move an inch! 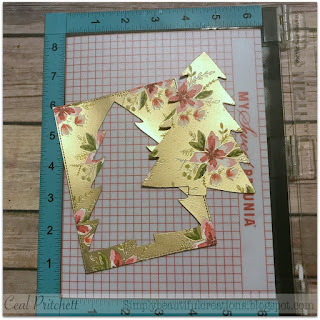 After I got all the stamping done on the blooms, I cut out theChristmas tree using the Trim The Tree dies. To finish the card, I stamped a background using the Plaid Background stamp and the greeting from the Trim the Tree set also using Catherine Pooler inks. 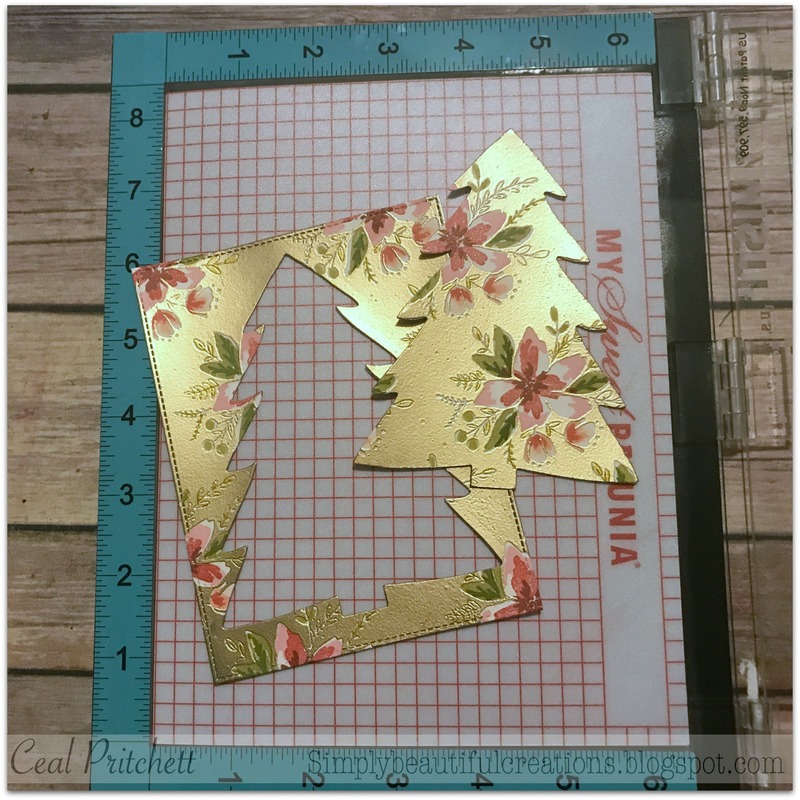 I placed some acetate over the negative of the Christmas Tree and then added foam tape around the edges. I added some sequins on the plaid background and then placed the front on top. Wanna know how I used the tree itself? 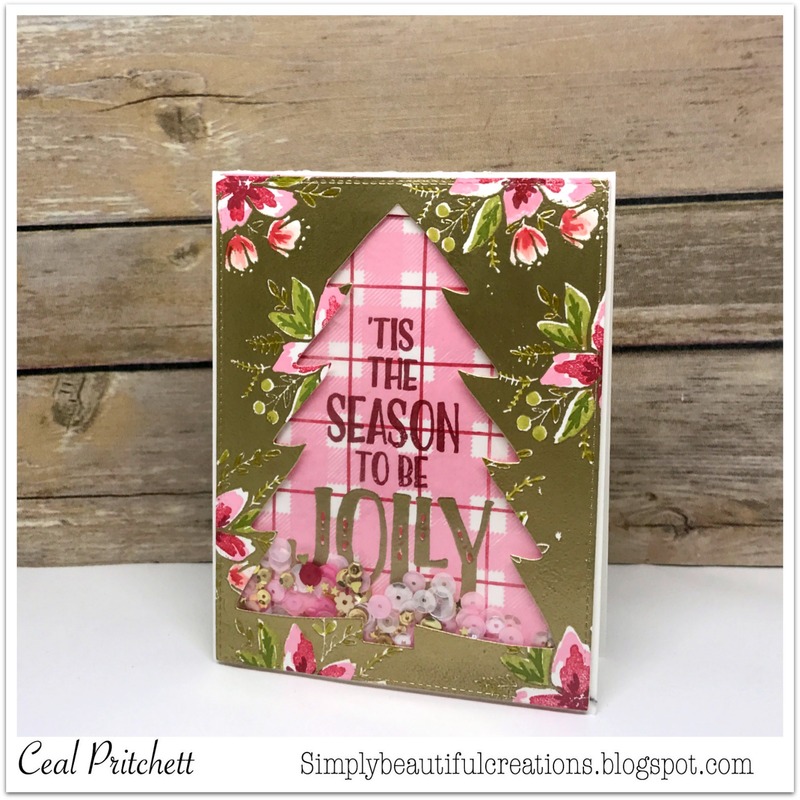 I am doing a series of 25 days of Christmas Inspiration on my blog, so Check my blog tomorrow and you'll see. WOW Ceal, this is beautiful. I'll watch for the details tomorrow. That’s a beautiful card ! That’s a wonderful card !